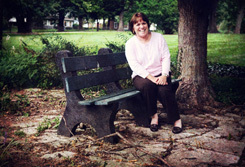 Ann Ingalls has worked as a freelance writer since January of 2002. In that time, she sold LITTLE PIANO GIRL (2009) to Houghton Mifflin, a book she co-authored with her sister, Maryann Macdonald. Highlights High Five, The Kansas City Star, Learning Express LLC, Primary Treasure, Reiman Publications, Babytalk, Adams Media, Way of St. Francis and many other publishers have used work of hers. She has written curricula for early childhood, elementary and special education in Michigan and Missouri, Praxis II (competency) exams for early childhood educators and ACT Prep tests. Professional memberships include: JWKC Classic, SCBWI, Missouri Writer’s Guild, Kansas City Jazz Ambassadors, the Liberty Arts Commission and Reach Out and Read, Kansas City. Please visit AnnIngalls.com for information about programs on jazz, the Underground Railroad and writing in general. 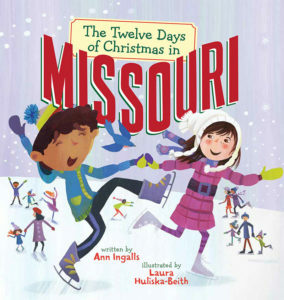 Welcome to Christmas in Missouri, the Show Me State—and Cody’s all ready to get a grand tour from his cousin Laila. Together, they’ll count bald eagles, spelunk in stalactite-filled caverns, eat Kansas City-style barbecue, visit the Pony Express Museum, and have the best time. Cody receives some amazing gifts, too, from 1 dogwood tree with a bluebird to 12 tiny tin trains. 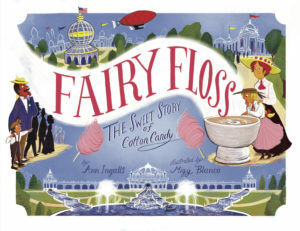 Step right up and read about the debut of cotton candy at the St. Louis World’s Fair in 1904! The 1904 World’s Fair in St. Louis, Missouri, was an exhibition like none other. It had huge buildings for displaying all sorts of inventions and machines, exhibits from all around the world, and vendors selling new foods, including something called Fairy Floss, which we now call cotton candy. I visit schools and libraries to talk to children about what I write and how I do it. 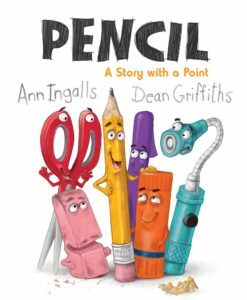 I describe the process I go through when writing and researching a fiction or nonfiction book, telling students that it is similar to the process they go through when writing a school report. On a typical school visit I make three or four presentations in a classroom or library setting. I talk about how I started writing. Depending upon time, I visit classrooms, meet with groups of young writers and sign books or magazines in which my work is featured. I am pleased to offer classroom writing workshops, tailored to the developmental age of the students. Please check out AnnIngalls.com for schedules and fees. Thank you.